WHETHER we choose to say Mother’s Day or Mothering Sunday, we should ponder the plight of the modern mother. Despite an abundance of material wealth, our society is making motherhood harder and harder. Urged to establish their career and get a foot on the property ladder, many women put off having children until their 30s, trusting in the promises of reproductive technology, only to find themselves childless at the menopause as well as poorer. If they do manage to have children, unless extremely wealthy they will have to pay someone else to look after them in order to pay the mortgage. We should also spare a thought for those mothers who have lost children to miscarriage, but even more for those who have lost children to abortion, having made the onerous choice between ‘going it alone’ as single mothers – with all the poor prognostications for children – and ending their child’s life before it can begin. Far from commiserating with their plight, it seems that ‘green campaigners’ would celebrate pre-natal deaths for curbing the carbon footprint, and young women are guilt-tripped into abandoning plans for motherhood by warnings that having children is helping to ‘kill the planet’. The pain of lost motherhood is also ignored by feminists too busy urging women to ‘shout their abortions’ to notice – who graciously offer ‘choice’ but no actual help; and even when pro-life vigils try to help needy women avoid abortion by offering them help, it is considered the highest form of feminism to silence and stop them. Even feminists have mothers – only God did not have one, but chose to rectify that situation – and it would be paying them a real tribute to help less fortunate women be mothers to their own children instead of campaigning to ‘free’ them from the ‘onerous burden’ of motherhood. 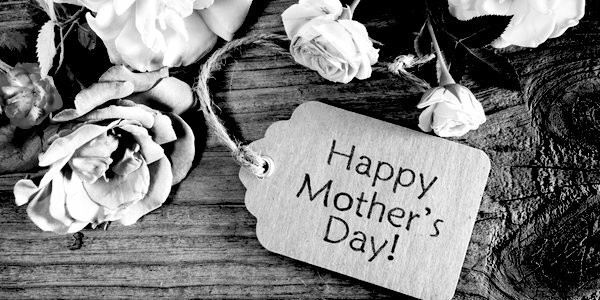 Instead of a day spent in grievance-stoking and ignoring those mothers spending it in grief and regret, today should be dedicated to helping mothers everywhere, until we can make every day a happy mother’s day. Ann Farmer is the author of By Their Fruits: Eugenics, Population Control, and the Abortion Movement (Catholic University of America, 2008).